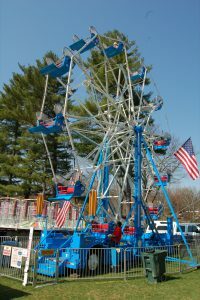 Enjoy classic fair rides including the merry-go-round, ferris wheel, super slide, swings, and more! Don’t miss out! All rides operate weather permitting. Get a wristband for $25 and ride as many times as you can from 5 – 9 pm!